We had a great time performing at Ronnie's 51st birthday party. It originally was supposed to be a surprise party but Ronnie is a pretty smart guy and knew what we were all up to! We had wonderful weather from start to finish. There was plenty of food and drink to keep the party rocking all night long! One of the most memorable points of the event was when we were given a bundle of lottery scratch tickets to give away. We found the best way to do this and be fair about it was to make a game out of it and performed a rapid music trivia blast asking for the "Title" of each song. We covered several music generations so that everyone would have a fair chance at some lottery ticket love. It was hilarious because you know how it goes.......you know that song....but you scream out the artist instead...but we want the TITLE please!! It was a lot of fun and everyone was really into it. It was a great time and we look forward to working with them again in the future! 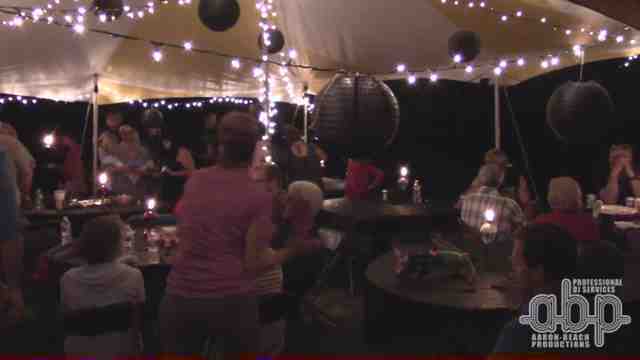 Thanks again Jackie for letting us entertain everyone at your private event birthday party!